Microsoft has announced some brand new camouflage peripherals for the Xbox One, with the new jungle-themed kit set for an October release. 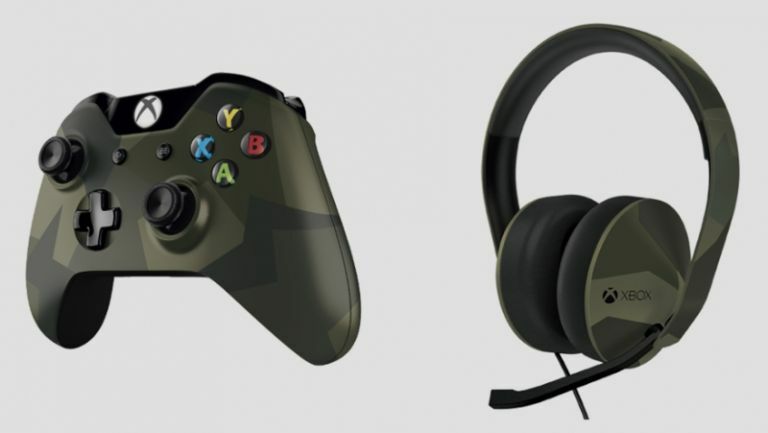 The camo gear consists of an Xbox One controller as well as an equally spec-ops styled headset. The new kit, tagged as 'special edition armed forces' by Microsoft, will mark up at $64.99 ( £38) for the controller, and $89.99 ( £53) for the headset. Would-be Rambos can pre-order the new gear from today, although the devices won't ship until October. The news came via Xbox Wire, Microsoft's Xbox-focused news service, in a post from Major Nelson. Nelson, whose real name is Larry Hryb, is the Director of Programming for Xbox Live. Nelson also posted the news on his own blog, writing "if you're in the market for a new Xbox One Wireless Controller or Stereo Headset, you'll have some new options this autumn."